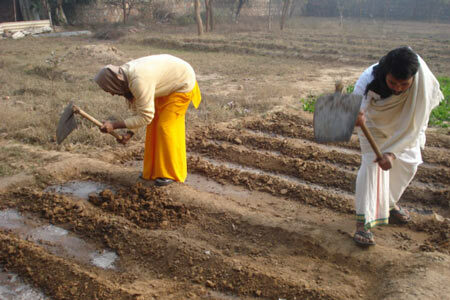 Inspired by Amma’s genuine concern for Nature, Amma’s youth wing – Ayudh, has initiated a project in organic farming. Considering that there is acute scarcity of water at the site, they also plan to start Rain Water harvesting and sustainable eco-friendly plantation projects in phases. Last Sunday, the Ayudh group prepared the land, arranged for water to be stored in a tank and planted the first saplings. Organic pest control methods and fertilizers are being prepared for use at the plantation.